If the result is not as specified, replace the purge VSV. (b) Check the operation of the purge VSV. 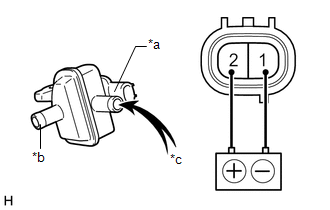 (1) Apply battery voltage between the terminals of the purge VSV and check that the following occurs when blowing air into the port (E). 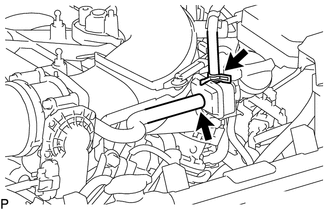 (a) Slide the hose clip and disconnect the purge line hose from the purge VSV. (b) Disconnect the purge line hose from the purge VSV. 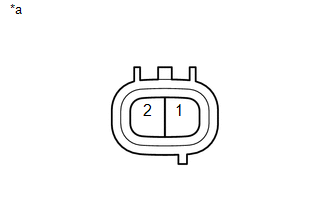 (c) Disconnect the connector from the purge VSV. 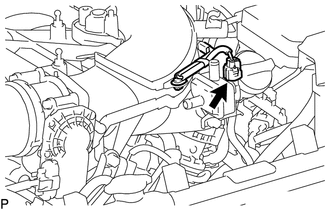 (d) Remove the bolt and purge VSV from the intake air surge tank. 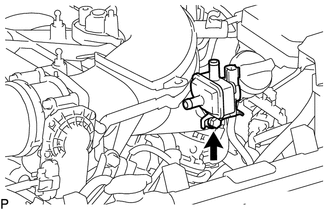 (a) Install the purge VSV to the intake air surge tank with the bolt. (b) Connect the purge line hose to the purge VSV, and slide the hose clip to secure it. 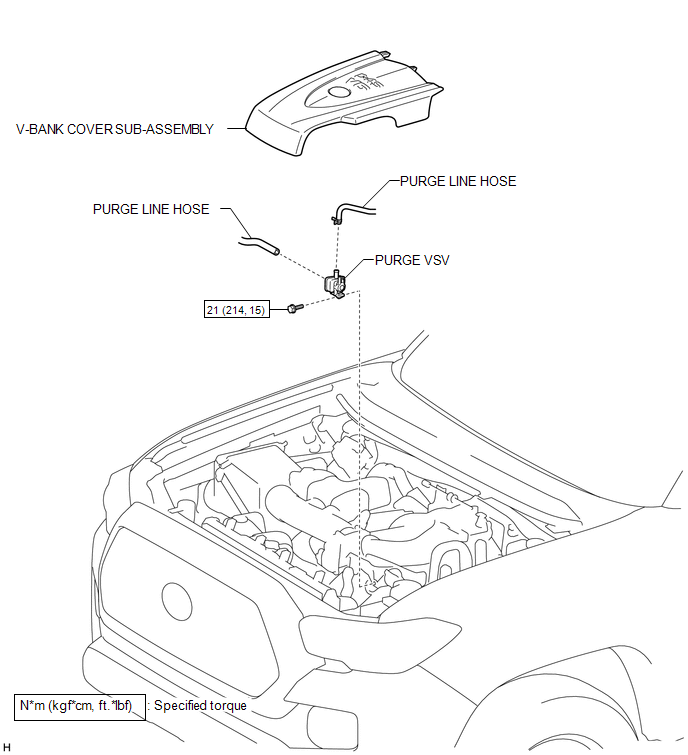 (c) Connect the purge line hose to the purge VSV. (d) Connect the connector to the purge VSV.